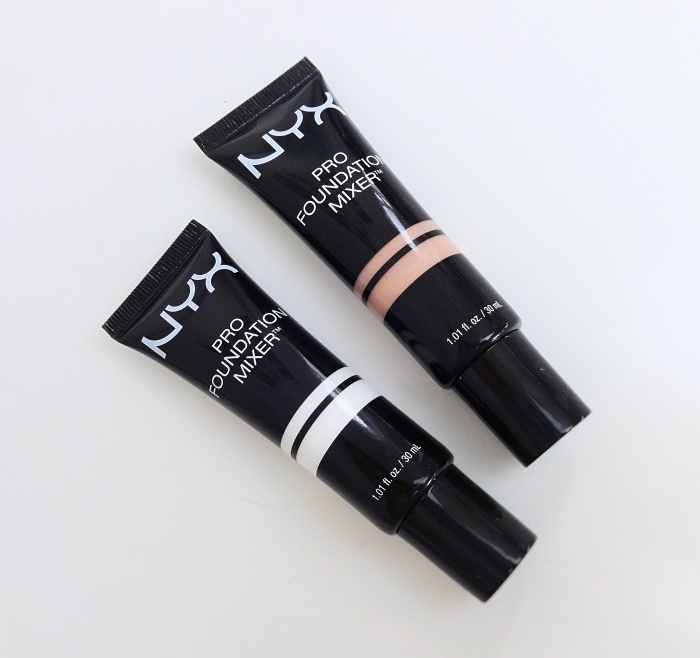 NYX offers 6 different shades - Warmth, White, Olive, and Deep are meant to change the foundation shade and Opalescent and Luminous the finish. I chose White and Luminous. The formula is unscented and has a light lotion-like consistency. It blends seamlessly with the GA Designer Lift Foundation and works well with PUR Bare It All which has a thicker consistency. 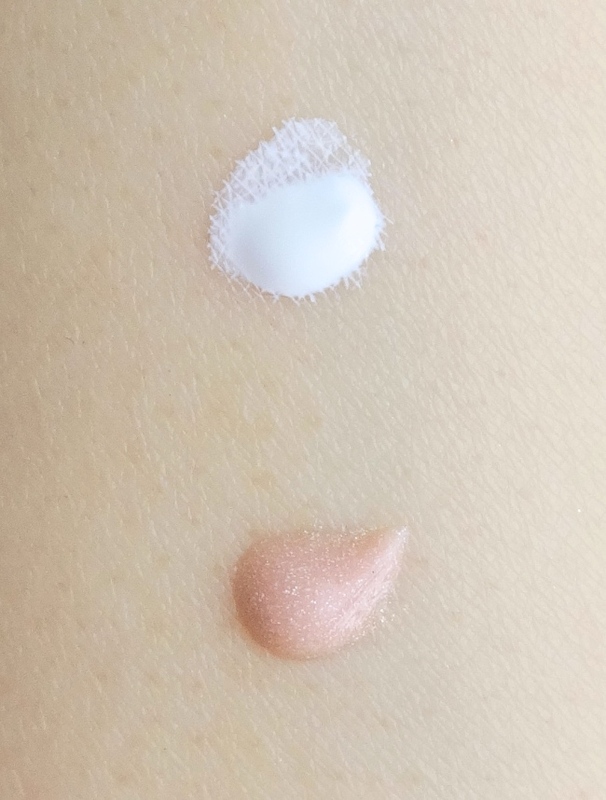 The Luminous shade can be used as a liquid highlighter as well. The shimmer is very pretty. All I need to lighten the GA foundation is the White shade, but here I mixed all three. Works like a charm, right? I was concerned that adding the mixers might affect the foundation's wear and finish, but in reality, I felt little difference. Of course, getting a good foundation formula that matches your complexion perfectly would be ideal. It's just that we don't live in a perfect world and it is so darn hard to find that shade, especially from the drugstore range. 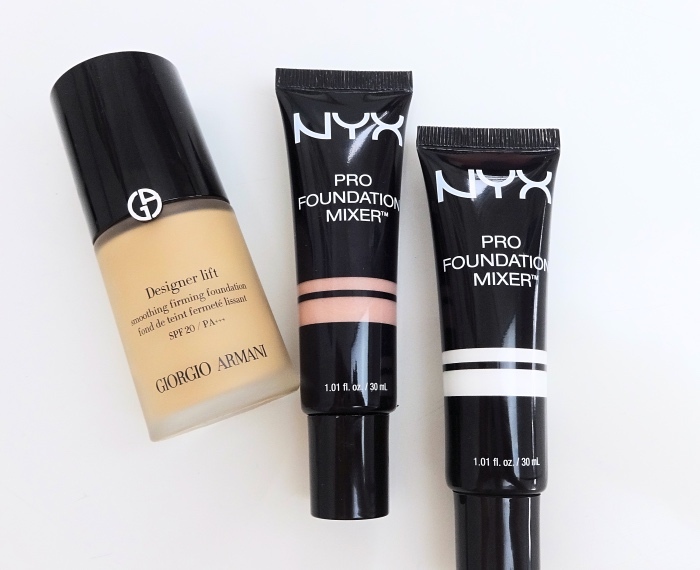 If you tan easily during the warmer months and like to stick with the foundation formula that you love, something like NYX Pro Foundation Mixer could come in handy, too. 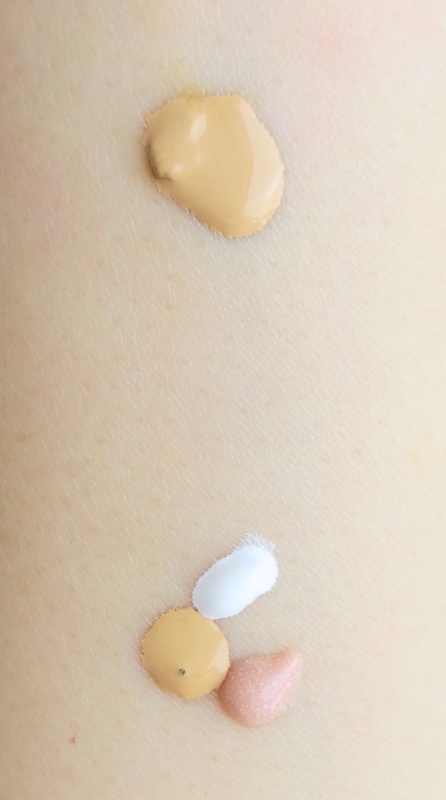 The Body Shop Shade Adjusting Drops duo appears to be a comparable option and COVER FX Custom Drops for more color choices although they are quite expensive. Have you tried any of these? What is your experience? I've heard about these types of products and it's cool to see them in action. 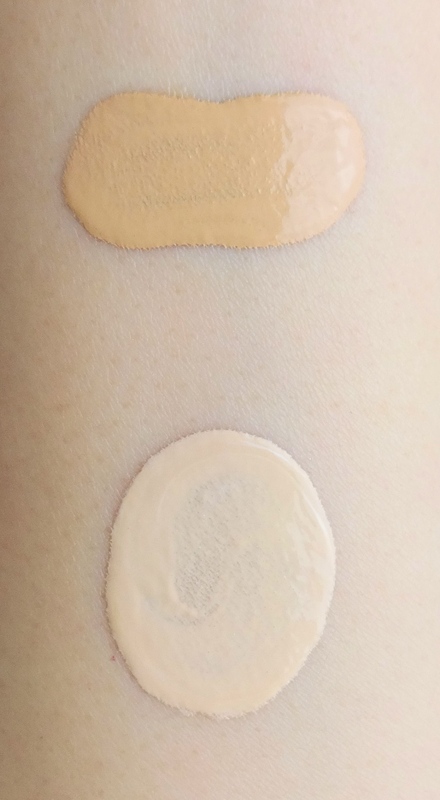 These can be real game changers considering how expensive some foundations can be and they just sit there unused when the shade is not quite right for us. Hope you've been well Lena. Happy weekend to you! oh man! as meiko says, I'm excited to see a DS option! I use a white mixer from MAC F&B but it seems to really only work well with the F&B foundation (maybe because of the strong film forming agent?). So this NYX version looks great. 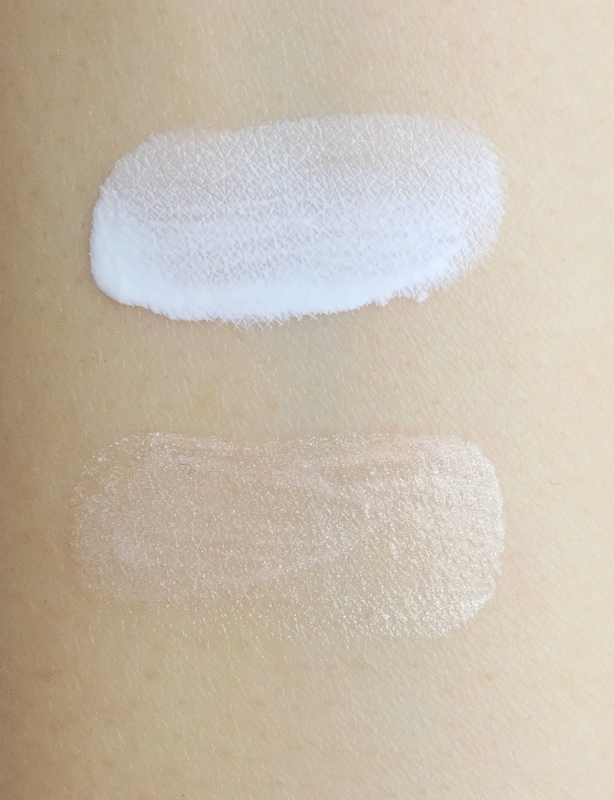 I am so intrigued by the Olive shade mixer because most readily available foundations are usually too dark and too pink on me. Thanks for sharing these goodies! I'm totally intrigued and haven't heard of foundation mixer. It sounds like a great solution though for brands that don't produce exactly the right shade. Ah! I didn't know about these products! It's good to try some inexpensive ones... and I sure need some mixers because it's so difficult to get the perfect match sometimes. I'll be sure to check out NYX the next time I'm at Sephora.